Applicants to this programme who have no secondary schooling or NCEA level 1 attainment or equivalent will require an entry assessment (including a literacy test) to establish eligibility. Applicants who have NCEA level 2 attainment (or above) or evidence of equivalent knowledge and skills have open entry to apply. *The applicant may need to sit assessment for entry. NB. All equivalences must be documented. Dates for assessment will be advised. These requirements are in addition to those outlined above and apply to applicants for whom English is not their first language. IELTS (academic): 5.5 or higher with minimum 5.0 in reading and writing. For those applicants who have an undergraduate or higher qualification gained from New Zealand, Australia, Canada, the Republic of Ireland, South Africa, the United Kingdom or the United States of America. ten, level 2 NCEA University Entrance Literacy credits (5 credits in reading and 5 credits in writing). 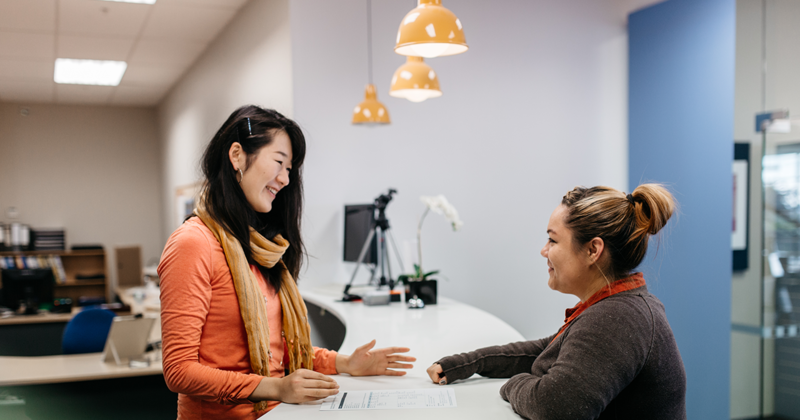 For long-term residents (10+ years) in New Zealand, or another English speaking country, who are able to demonstrate English language competency appropriate to the desired level of study. Competency must be documented. This programme requires an internship placement of a total of 420 hours (an average of 16-20 hours per week) of practical ministry involvement. Entry into this programme will require selection, supervision and mentoring by the learner’s faith community or community organisation. Applicants must complete an Internship Placement Contract which includes accreditation of the church or organisation, minister or director, supervisor and mentor; recommendation of student; and ministry proposal. It is a condition of enrolment in the CertCM (Internship) that students complete a Police Vetting Service Request and Consent form as part of their application. This police clearance should be less than 6 months old if presented at the time of application. Entry to the BMin or BTheol (if appropriate). It is a condition of enrolment in the DipCS (Christian Leadership Track) and BMin that students complete a Police Vetting Service Request and Consent form as part of their application, or for those including an Internship course in another programmes, before course enrolment can be approved. This police clearance should be less than 6 months old if presented at the time of application. IELTS (academic): 6.0 or higher with minimum 6.0 in all bands. The normal requirement for admission into the GradCertTh and GradDipTh programmes is a completed undergraduate degree, or higher qualification, as defined in the National Qualifications Framework of the NZQA. Serious consideration will be given to those who have a combination of relevant experience and non-degree qualifications. This is particularly relevant for those whose qualifications are at a level that, in the current New Zealand environment, is likely to be regarded as having been gained at degree level. Each application will, however, be considered in light of the applicant’s overall background and ability to benefit from the programme. The onus is on the applicant to provide details of all qualifications and experience relevant to the application procedure. IELTS (academic): 6.5 or higher with minimum 6.0 in all bands. Applicants who hold a recognised Bachelor’s level degree in a discipline other than theology may be accepted for study towards the PGDipTh or MTh following successful completion of a bridging programme of theological study such as those provided by Laidlaw or as approved by the Postgraduate Committee. Bridging requirements may be satisfied wholly or partly by credit transfer and/or recognition of prior learning. A grade average of 7.0 (B) or higher in papers of the qualifying undergraduate programme equivalent to NZQA levels 6 and 7 is required. Serious consideration will be given to those that hold qualifications of an equivalent standard. In exceptional circumstances the Postgraduate Committee may allow applicants who do not meet these requirements, or who do not have qualifications of an equivalent standard, to be granted provisional candidature into the PGDipTh. Candidature in the MTh shall be confirmed after the satisfactory completion of the PGDipTh. Each application will, however, be considered in light of the applicant’s overall background and ability to benefit from the programme. The onus is on the applicant to provide details of all qualifications and experience relevant to the application procedure. IELTS (academic): 7.0 or higher with minimum 7.0 in writing (conditions apply). All DipRS and BCouns applicants must be at least 20 years of age on or before the first day of semester in which the proposed programme of study is offered. For applicants who do not meet the above requirements, an Entry Assessment may be required. All applicants who have successfully completed the first stage of the application process will provisionally be accepted into the programme and invited to attend a group interview and, if required, a further interview by a panel of two selectors. It is a condition of enrolment that students complete a Police Vetting Service Request and Consent form as part of their application. This police clearance should be less than 6 months old if presented at the time of application. Entry to the Diploma in Christian Education is usually University Entrance. Students 20 years or older, or those applying for the Diploma in Christian Education, must meet comparable literacy and numeracy requirements as those entering with UE. This will usually be assessed by the entrance test. Entry to the Laidlaw College Bachelor of Teaching (Primary) degree is New Zealand University Entrance. Equivalence for students under the age of 20 applying to the BTeach is sought through an application for exceptional academic entry from the Education Council of Aotearoa New Zealand. All BTeach applicants must be at least 18 years old at the time of entry. All applicants are required to have a selection interview and sit an entrance exam that focuses on literacy and numeracy skills. Candidates must score step 4 in literacy (reading and writing) and step 5 in numeracy for full entry into the course. Lower grades may receive provisional entry but any candidate allowed into the programme with a English language competency literacy assessment score lower than 4 and a numeracy assessment score lower than 5 must re-sit the test at the end of their first year to be certain that they meet the Laidlaw College entry levels (English language competency literacy assessment score of at least 4 and a numeracy assessment score of at least 5) prior to enrolling in year two of the degree. An offer of entry into an alternative level 5 programme. All applicants must complete a Police Vetting Service Request and Consent form as part of their application. All international applicants for the DipCEd and BTeach must provide a police clearance certificate from their country of citizenship AND for any country in which they have lived for more than a 12 month period in the last 10 years. This police clearance should be less than 6 months old and be presented at the time of application. This is to meet the requirements of the Vulnerable Children Act 2014. Any Laidlaw College student teacher charged with an offence must disclose the charge in writing to the Head of Programme within 3 working days. * Please note that these waiver requirements do not apply to the Bachelor of Teaching. Applicants should refer to the Teacher Education handbook for details.